Court, Interpol issue fresh warrants on wanted Maina – Royal Times of Nigeria. The Presidency on Thursday said the international police (INTERPOL) and a Magistrate Court in Abuja have issued fresh arrest warrants on wanted ex-chairman of the Presidential Task Force on Pension Reforms, Abdulrasheed Maina. Senior Special Assistant to the President on Media and Publicity, Garba Shehu, disclosed this while speaking with journalists. It is recalled that Maina was dismissed in 2013 by the Federal Civil Service Commission following a recommendation by the Office of the Head of Service. He was accused of massive pension fraud scheme amounting to more than N100 billion. Maina sued the Senate, after the upper chamber issued an arrest warrant against him. Maina was dismissed by the Head of Service for allegedly absconding from duty and attempting to evade arrest and charged to court. Reports recently emerged that Maina has returned to the country, now works with the government and has been promoted. President Muhammadu Buhari, however, ordered his immediate disengagement from office and also queried the Head of Service over his reinstatement. Winifred, Oyo-Ita, head of service also denied any complicity in the reinstatement of Maina. 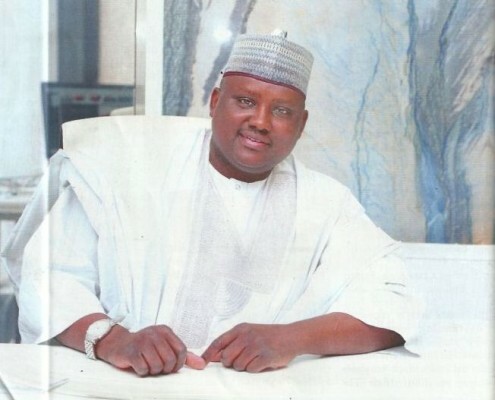 Shehu said, “Maina’s investigation has been expanded. This is beyond reinstatement. It has gone beyond that.